A teenager who was hit by a train while sitting in between the tracks with a friend at a rail crossing in Hipperholme died in a tragic accident, an inquest heard. Milena Gagic 16, was hit by a Northern Rail train at 12.30am on December 13, 2014, at the crossing, off Halifax Road. Calderdale coroners heard how the Crossley Heath School student had spent the night with her friend Amelia Hustwick. She had known Milena her whole life and considered her to be her best friend and was “her favourite person in the whole world”. In her statement read out at court, she described the night’s events as they had planned to go meet friends at The Stray. But when they were not there, they decided to go to the crossing - a place they would often go as it was quiet. She said they did not think any trains would be running at that time of night and sat inbetween the track. But out of nowhere a train appeared and they did not hear a horn. Amelia said she had jumped out of the way. When the train had passed she could not see Milena. She found her next to the track and tried to revive her. Martin Jones, the driver of the service from Manchester Victoria to Leeds, described how he felt a bump on the track as he passed through the Hipperholme area but thought it was stones on the line. Mr Jones said he did not see anyone at the crossing as the train, which was travelling at full power and at a speed of 55mph, passed through. He also explained he did not sound his horn as they are only permitted to do so between certain times. It wasn’t until later that night a colleague informed him that his train might have been involved in a fatality and immediately remembered his experience at Hipperholme crossing. “It is the first fatality and I have had a few sleepless nights about it,” he said. 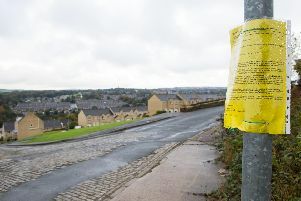 Officers from West Yorkshire Police, The British Transport Police and Yorkshire Ambulance Service were called to the scene but the former Brighouse High School pupil was pronounced dead at the scene. The post mortem examination found that Milena died from severe spinal injuries and massive head trauma which were unsurvivable. They also found there were no traces of drugs or alcohol in her system. Mum Leanne said her daughter was a straight A student and was planning on going to study at the University of Cambridge or Oxford. She described her as “a very sensible, intelligent and caring individual”. Coroner Oliver Longstaff said Milena and Amelia were very close and revelled in each other’s company and they did something they had done many times before. “It is not a very wise thing to do but I have said no-one is on trial and it is how two young girls spent their time. He said no blame should be attached to the driver and he recorded a verdict of accidental death. Mr Longstaff said that Milena would have had no idea what had happened or suffered from any horror as the post mortem showed that she died instantaneously and hoped it was some comfort for family members. He also said that no further report would be sent to the railway authorities to look at the safety of the line. Crossings are a dangerous place but there are enough warning signs in place, he added.